One of the most comforting pieces of encouragement I ever received was from a friend who came to visit me in the hospital. I was wrestling with grief after a miscarriage, recovering from an emergency surgery, and still waiting anxiously for the doctor to figure out what was wrong in my body, which stubbornly refused to let go of a failed pregnancy. I was sad, angry, bitter, envious, emotionally exhausted, and afraid as I lie uncomfortably in my hospital bed. I remember watching nurses, doctors, and visitors walking quickly and effortlessly about the room while I felt envy creeping into my heart. I was envious of their healthy bodies, allowing them to perform normal, every day tasks while I was in too much pain to get up and walk across the tiny room. 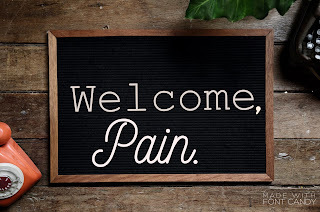 Pain has a way of freezing time so that it’s hard to remember what it feels like to be pain-free or to even imagine that a day without pain will come again. On top of all the feelings, of course, was the shame. I felt ashamed for feeling bitter as I listened to the cries of newborns coming from the rooms nearby. I imagined the other mothers on the postpartum floor counting the tiny fingers and toes of their healthy babies, smelling that sweet newborn scent. I felt ashamed for feeling envious of the healthy people who came in and out of my room even as they worked so hard to keep me comfortable and take care of me in the midst of my doctor’s uncertainty. I felt ashamed of my unwashed, unkempt body as each new visitor arrived. I surveyed their makeup, attractive outfits, and washed and styled hair as I pulled the sheets of the hospital bed up higher over my pregnant-but-not-pregnant, recovering-from-surgery body. Perhaps most of all, I felt ashamed of my anxiety. I was ashamed that I didn’t have more faith in God to take care of me while the doctor seemed to fumble her way through trying to figure out what to do with me. If I had more faith, surely I would be able to rest in the peace of knowing that God’s will would be done. But alas, the anxiety overwhelmed me, and I could not get past this cocktail of negative emotions. It could have been a chance for me to minister to others by showing how peaceful I remained in the midst of adversity, but clearly, I was failing. Then this friend came. I knew her from church but hadn’t spent a lot of time talking with her before. She shared with me about her own experience with miscarriage and an ectopic pregnancy. She shared in my grief and then said the thing I didn’t know I was desperate to hear: “Sometimes, well-meaning people will tell you ‘It’s going to be ok.’ Sometimes, it’s not ok.” The flood of relief overpowered every other emotion and I felt validated and free— free to grieve, free to hurt, free to be angry, and free from the shame of it all. I had had no idea how healing it would be to give myself permission to have these feelings without attaching shame to them. My Nelson Study Bible notes that first, Job “showed intense grief according to the accepted custom of his day.” Job did worship the Lord, but first, he allowed himself to grieve deeply. In our culture, we try to suppress, ignore, and push through grief, but God did not make our hearts to operate that way. We were created to be emotional beings and to allow ourselves to enter into the vulnerability of loving and caring so much about someone that our hearts break when we lose them. When we cover up our pain instead of acknowledging it, we deny ourselves the opportunity to experience healing from the Lord, slow though it may be. This weekend I had the pleasure of attending a workshop called “Sustainable Spiritual Practices” led by Reverend Joe Stabile at Life in the Trinity Ministry. One of the spiritual practices he explained is called “Welcoming Prayer.” He talked about that moment between when something triggering happens and when we experience an intense emotional response. In that moment, we can choose to respond rather than react. The Welcoming Prayer is a tool to help us with this. It has three very simple steps: first, you focus on the way your body is responding. You notice that maybe your shoulders are tense, your jaw is clenched, your heart is pounding, or your stomach is churning. In this first step, you give full attention to your body’s response to stress. 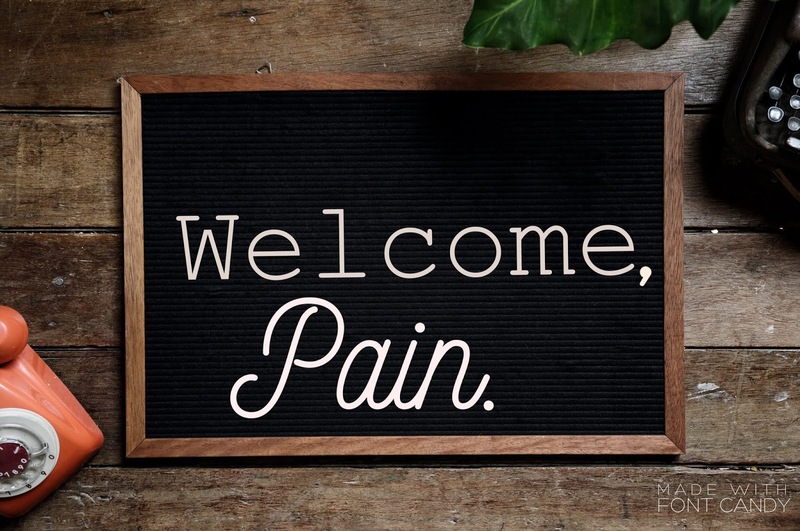 Next, you identify what you are feeling and welcome it: “Welcome, pain,” or “Welcome, anger,” or “Welcome, ________.” Rev. Stabile says that when we welcome the emotion, we disarm it so that it loses its power. You can read a practical example of a time when I learned to disarm shame by welcoming it here. Last, we let the emotion go. We may not be able to change the circumstance, but we can acknowledge, welcome, and let go of stress so that we can choose a response instead of being slaves to reaction. Our tendency is to move too quickly to the step of letting go. These stressful emotions are uncomfortable and sometimes shame-inducing, so we try to hide them or push them down, but repressing them gives them more control over us. In that moment between the triggering event and our reaction, our bodies give us helpful information about what is going on in our hearts. After we name the feelings and allow them to reside in us, we can eventually let them go so that, despite our lingering pain, we can choose a response instead of a reaction. My study Bible says that when Job “fell to the ground and worshiped,” this was a deliberate action. After he acknowledged and welcomed his grief, he was able to make the choice to worship the Lord. Though Job’s difficulties were far from over, his ability to grieve freely and then make the choice to worship God set him on a path to healing and restoration. Brothers and sisters in Christ, let’s be mindful of our words to those who are grieving. In a culture that says grief and pain and anger are bad, let’s help disarm shame by showing up to hospitals and funerals and coffee shops and Bible studies and living rooms and front porches of those who are hurting and say, “Sometimes, it’s not ok.” Let’s listen and validate as we pray with them and wait on the Lord to comfort, strengthen, and heal. We never know when our presence and validation of their pain might help lift the heavy burden of shame as an important step toward healing. Love this author and this piece. "Though Job’s difficulties were far from over, his ability to grieve freely and then make the choice to worship God set him on a path to healing and restoration." This is beautiful. It is so important for us to see this progression--to know that it is ok to grieve. Thank you for sharing your story and this important message. I don’t think I’m quite there with the idea of welcoming anger because although it is a natural emotion, God does want us to be slow to anger, whereas He never tells us to be slow to sadness. I think we need to be honest with God about our anger, and we are safe to go to Him with it, just as David did in the Psalms, but I’m not sure about welcoming it. I do completely agree that we need to let people be wherever they are in their emotions—angry, sad, grieving, etc. and let them be there without judgment. Sometimes that’s the best way to love. We do need to grieve. I’ve been through the loss of several close family members and a miscarriage, and I understand that well. Thank you and thanks so much for reading! Thanks for your thoughtful response! I think of welcoming anger, like any emotion, as acknowledging it as a response that is not sinful but rather an indicator that we need to probe further and ask God to show us why we are angry so we can deal with it honestly. If we don’t welcome it because we feel ashamed that we are angry, it’s hard to move forward and work through it in a healthy way. That may be the same thing you were saying. I think we become slow to anger by allowing Hod to help us deal honestly with it and with the underlying causes, not by denying or rejecting it without some introspection.